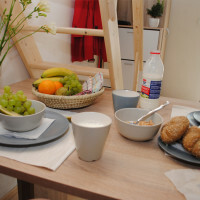 By booking the ” Comfort stay” type of accommodation you get a cosy studio apartment with a kitchen. Comfort awaits you on the first floor of the newly renovated gallery building. 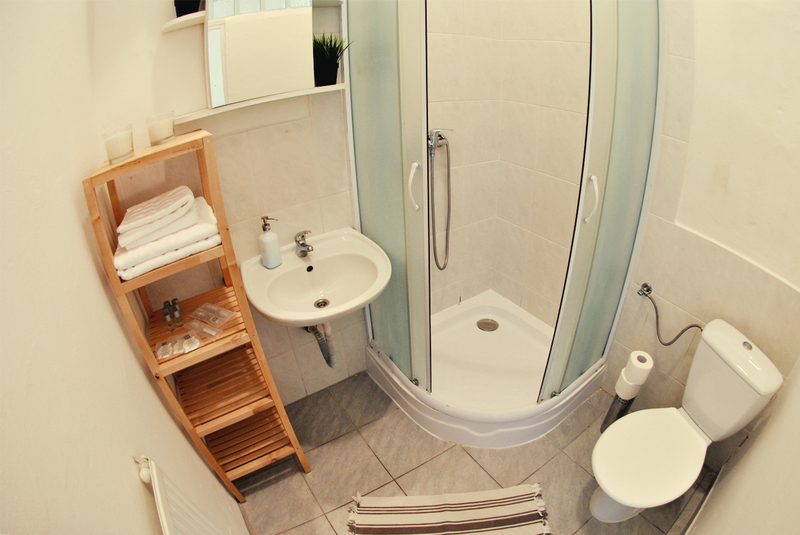 It includes a spacious bathroom with shower and a fully equipped kitchen. 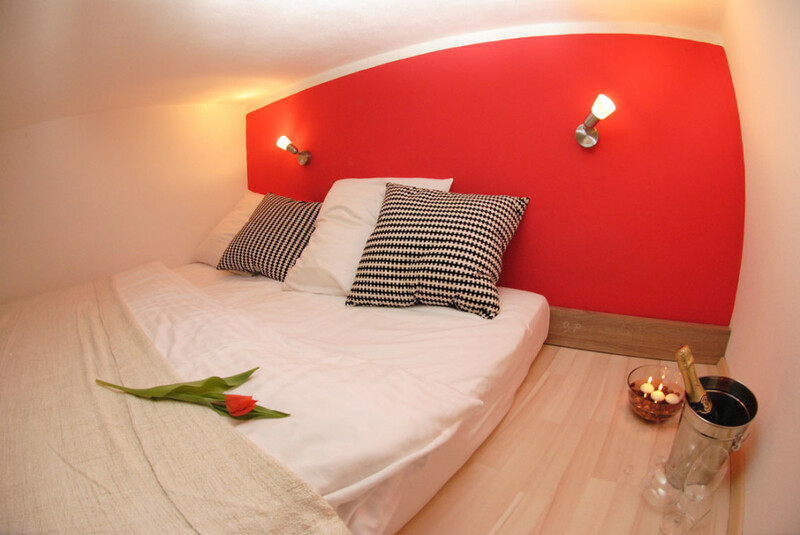 For relaxation there is a sofa, extra fluffy pillows and an unexpected level of tranquility in the city centre. Additional equipment provides enough comfort for longer stays and more demanding journeys. Are you in a hurry? Do you want to be pampered? Select an “Easy stay” room. 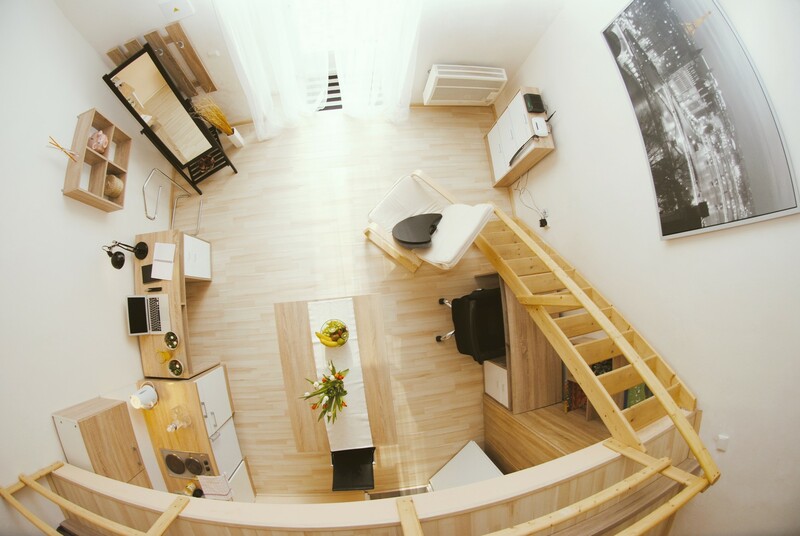 This is an unusual split-level studio. 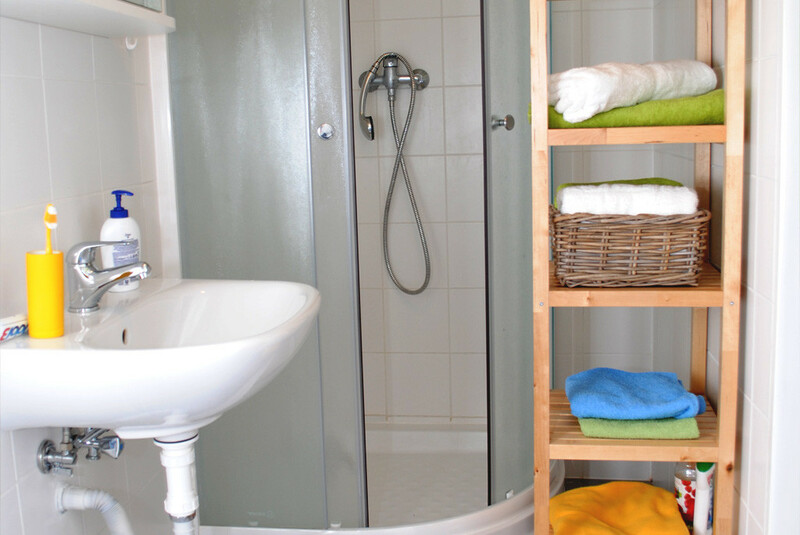 Of course there is a fully equipped kitchenette and a bathroom with towels. Basic toiletries are available on request. 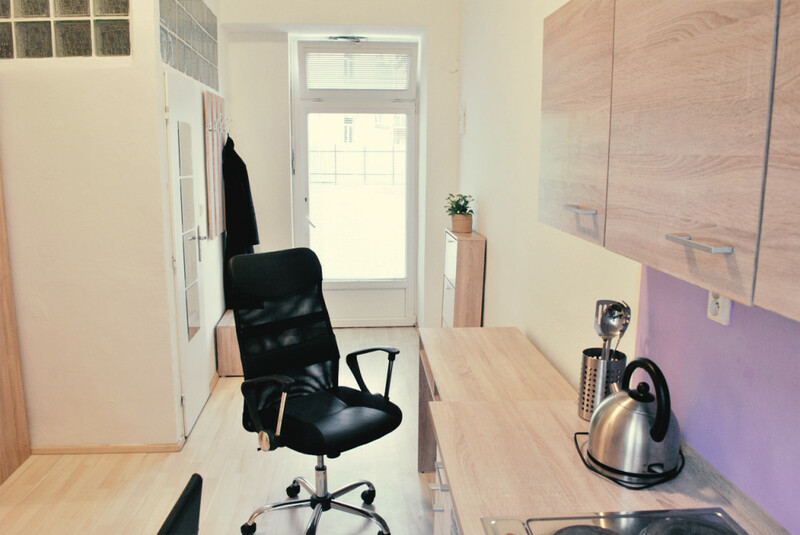 Everything you need in a convenient city location. 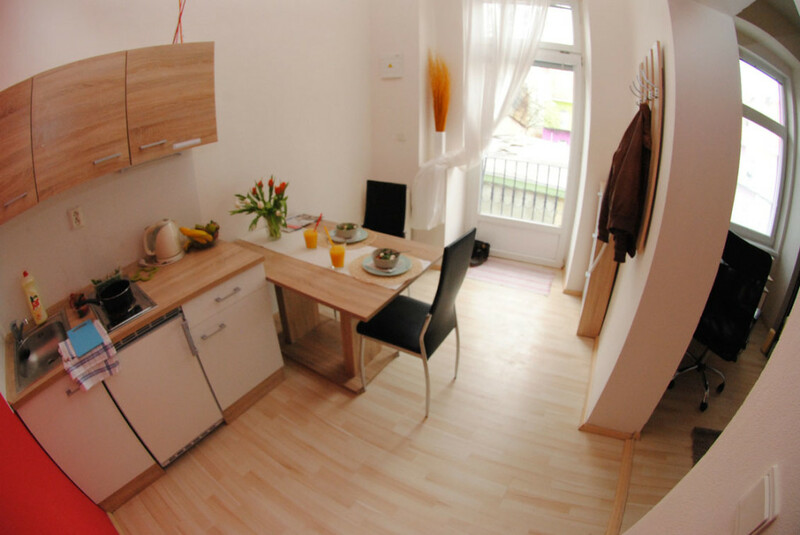 Suitable for any traveller for whom Brno is just a stop on a longer journey or for those who are planning to explore more in depth without worries about accommodation. 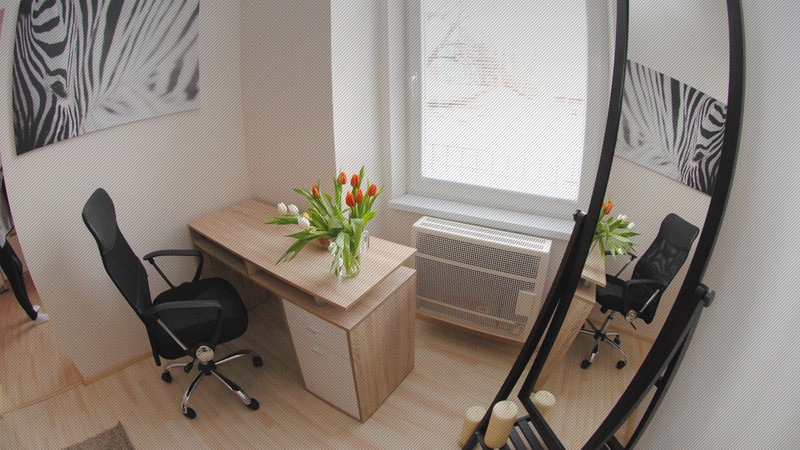 In addition to accommodation in private studios we also offer the option of booking separate rooms. 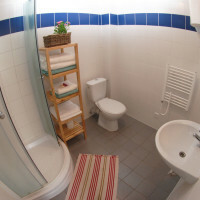 You can choose a single or double room with shared bathroom and toilet. 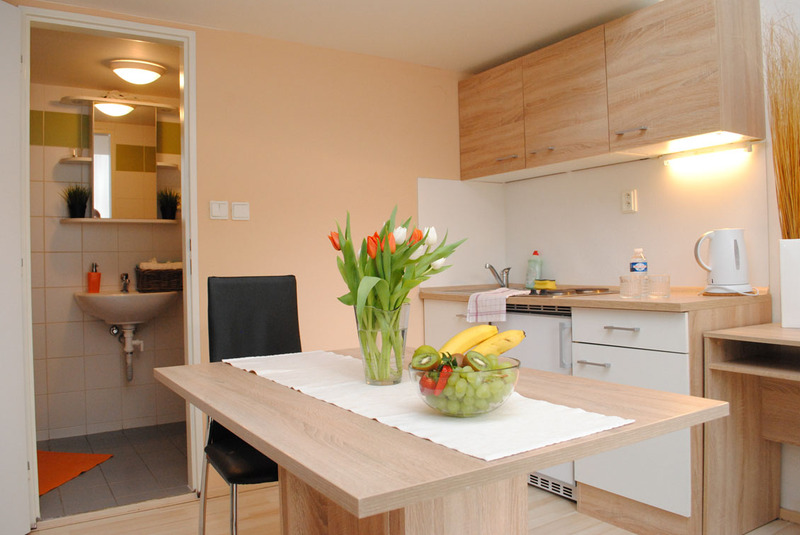 The public areas include a fully equipped kitchenette for self catering. 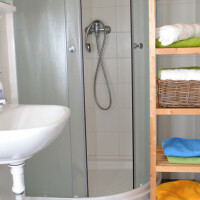 Basic toiletries and internet connections are provided. 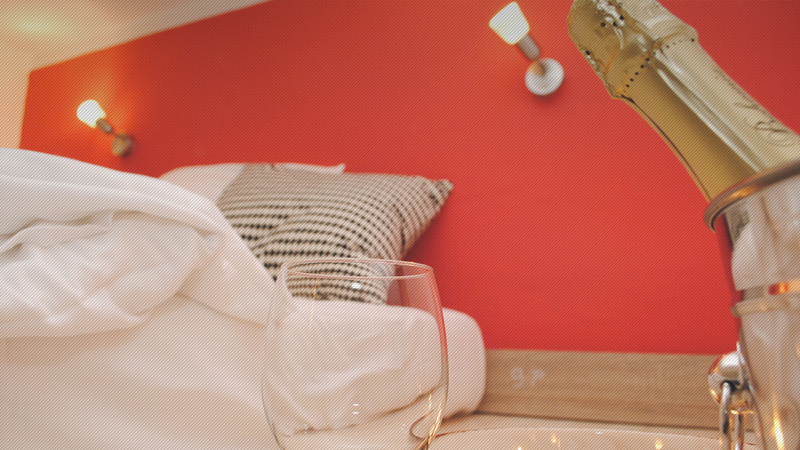 A great choice for an easy and convenient overnight stay.. 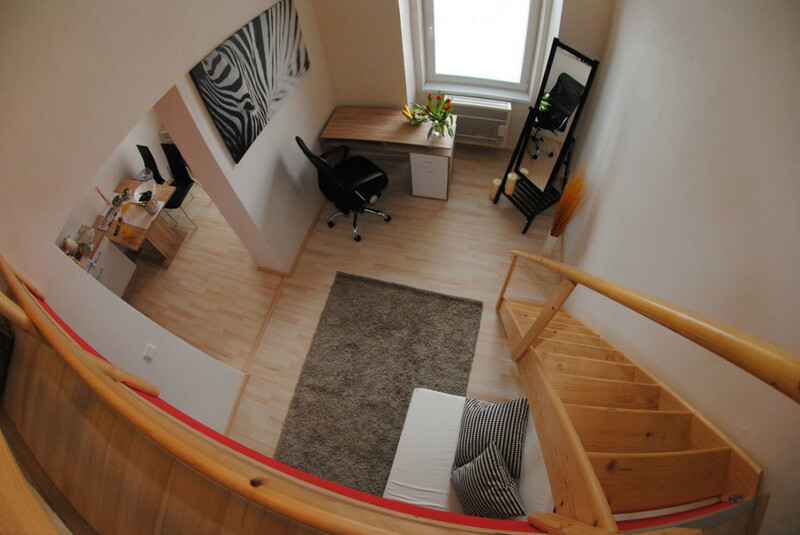 The Václavská complex is located in the heart of Old Brno, 10 minutes from the Brno Exhibition Centre. 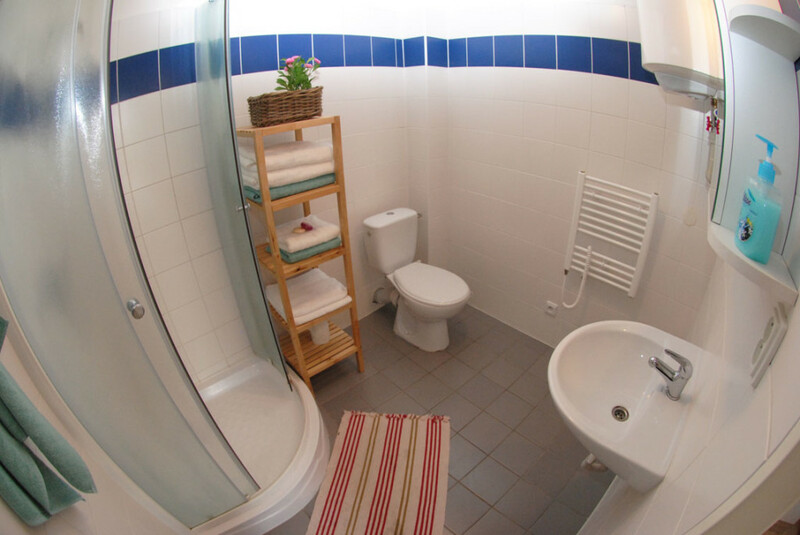 You can choose from several types of studios and chalets which, thanks to their own bathrooms and a fully equipped kitchenettes, offer maximum privacy and comfort. Wireless internet access is available in all types of accommodation. 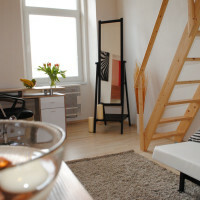 Apartments and studios have a private entrance from the courtyard and the whole building is monitored by CCTV. 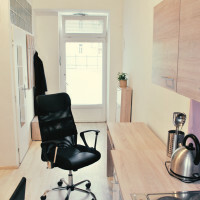 The apartments and studios are very close to Mendel square, which is an important transport hub – by public transport you can easily get to the city centre in a few minutes. The main train station is 1.3 km away. 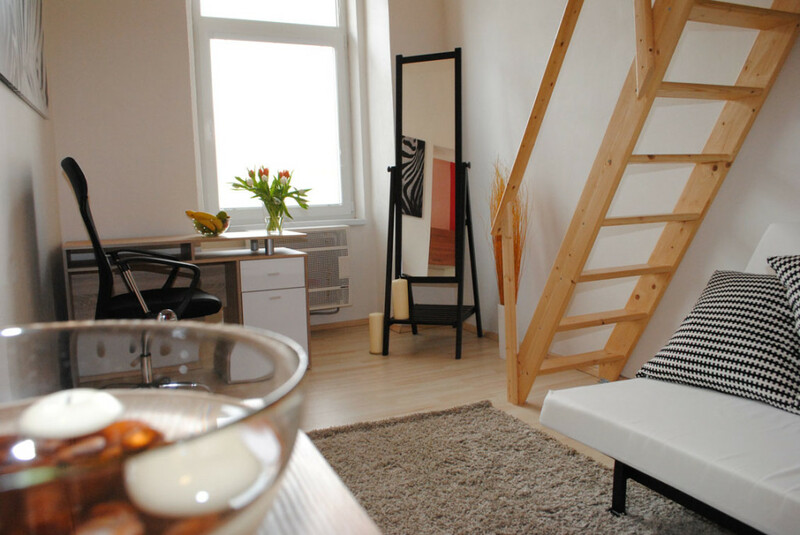 Advantaged parking for guests of 7 NIGHTS Apartments – before the entrance to the area is NECESSARY to pick up the parking card at the reception 7 Nights Apartments. The price for parking is 10 EUR/day. Guests have to pay deposit 20EUR/500CZK/100PLZ in cash to take over the parking card. 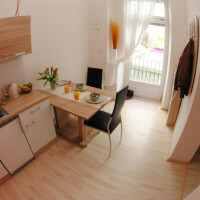 A great choice for those seeking comfortable accommodation offering peace and privacy near the city centre. 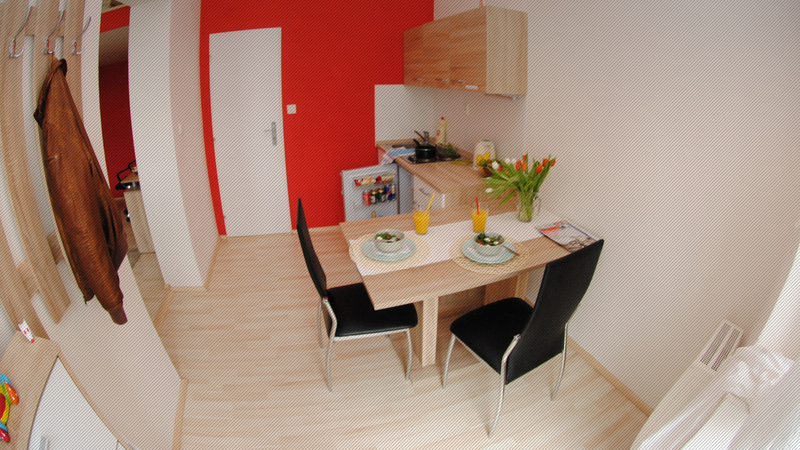 From Brno airport you get to the apartments easily in less than half an hour. From the airport terminal take the no. 76 bus, which will take you to the Hlavní nádraží – railway station (sixth stop). Then take the no. 1 tram (direction Ečerova ) or the no. 2 tram (direction Modřice ) and get off at the third stop Václavská. For traveling by public transport purchase a ticket valid for 60 minutes at the price of 25 CZK. You can find information about Brno public transport online at www.jizdnirady.idnes.cz/brno/spojeni. Take the no. 1 tram (direction Ečerova) or no. 2 tram (direction Modřice) and get off at the Václavská stop (third stop). For the transport you will need a ticket valid for 15 minutes purchased at the price of 20 CZK. You can find information about Brno public transport online at www.jizdnirady.idnes.cz/brno/spojeni. From the D1 motorway take exit 190 exit on the E461 road and after getting out of the Pisárky tunnel, turn right on road no. 42 (direction Brno – center). Continue straight through the traffic lights, where you turn left. Right at the next traffic lights turn sharp right into the street Křídlovická, go straight through the roundabout. Take the third exit and turn left. 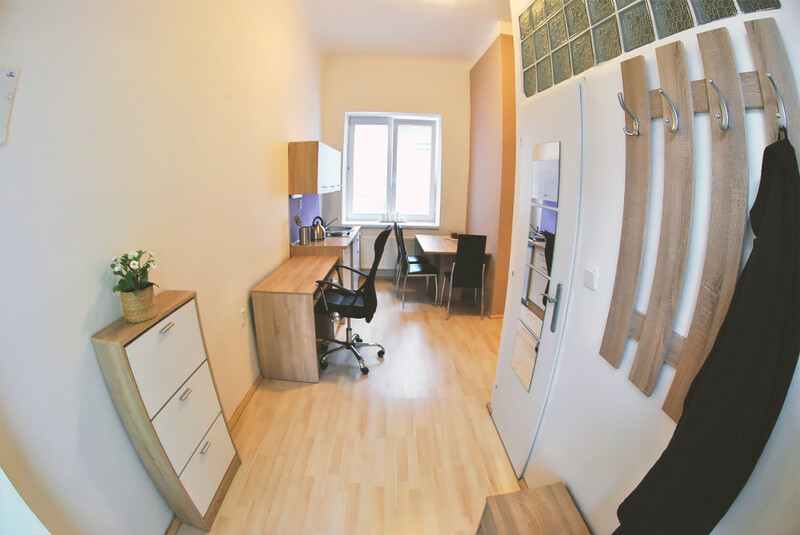 Go straight and almost at the end of the street before the traffic light on the right hand side you will find the entrance to the passage Václavská 16, which takes you to our apartments. 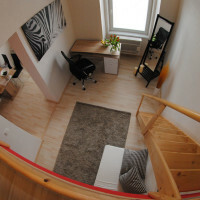 If you have a GPS, enter the address Václavská 18a, Brno.